Residential Air Conditioning Installation - AccuTemp Refrigeration Inc.
Are you considering a new residential Air Conditioning installation for your home? AccuTemp wants to ensure you have the most cost efficient and smooth installation possible. Call us 24/7 and we will be happy to provide you the best residential air conditioning system installation possible. No one wants a Phoenix summer with inefficient air conditioning. Let us help you stay cool. Once we have a good idea of your homes BTU we will know what it takes to keep it cool. Rest easy and let AccuTemp’s professionals install your furnace, air conditioner, boiler, heat pump or other HVAC needs. Licenses, Bonded, Insured – License#: ROC 80131, ROC 80132, ROC 80133. 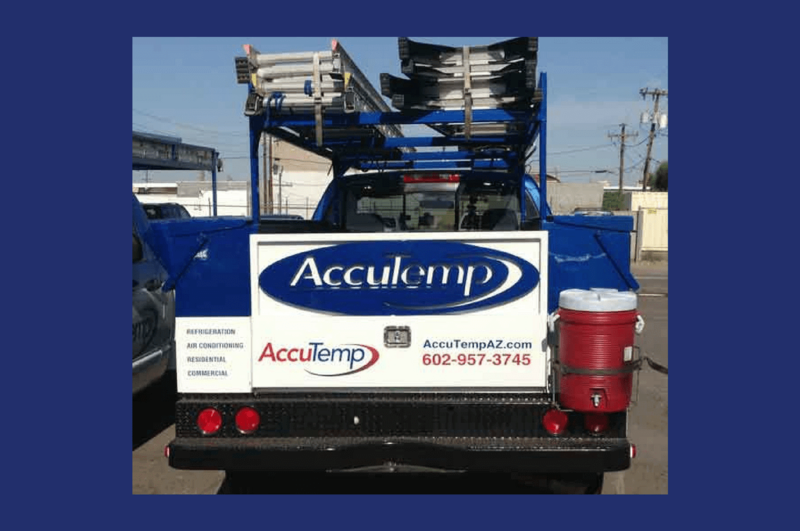 AccuTemp is fully licensed, bonded, and insured. Reliable – We offer all high-quality systems including Carrier, and many others. All HVAC system installations include a one-year labor warranty. Safe – All of our work meets local safety and building codes. Project Management – We’re on the job from start to finish. Is your existing system 7 years or older? How much are your average monthly energy bills during the summer and during the winter? Does your unit have a lengthy repair history? Is your home humid in the summer and dry in the winter? Are there any lingering odors in your home? Is your current system noisy or running constantly?